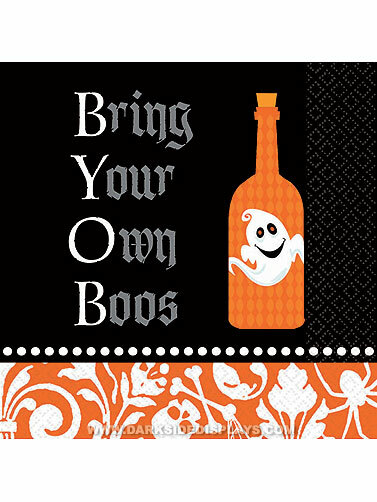 Bring Your Own Boos is the message printed on these 2-ply paper beverage napkins that will coordinate well with a variety of Halloween party themes. Bring Your Own Boos Beverage Napkins measure 5" x 5". 36 ct.